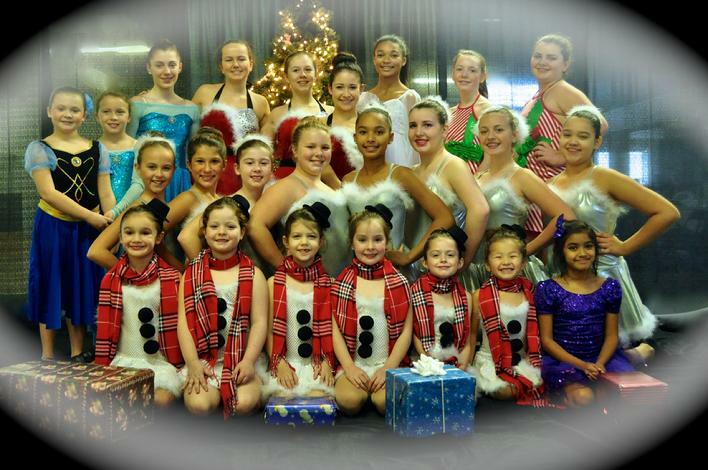 Take a look at some of the many great things people are saying about Bridget's Dance Studio. See more great pictures and comments on our Facebook page. It was such a great dance recital!! My Mom and Dad and in laws couldn't say enough about how much they loved it. The theme was great, music was enjoyable, costumes were beautiful...it was just perfect! Many thanks to you, Christine and Christie for another fantastic year. I know I've said it before and I'm sure I'll say it again, Bridget and I are SO glad we switched studios!! We can't wait to see what next year brings! I just want to say that we were so impressed with this year's recital! It was so well run and organized. I loved the music and adorable dances of the little kids. I loved the Broadway theme and that the music was age appropriate. The dance team numbers were amazing. It was by far the best one we've seen yet. We really enjoyed it. Well done by all! Our daughter Keira was enrolled in your Thursday ballet, jazz and tap class with Christie as her instructor. We cannot be more happy that we chose to enroll her in your studio this past year. Christie has been an absolutely incredible teacher. The experience for both, Keira and us has been great. The recital this past Sunday was fantastic and all your students performed wonderfully. I know that we saw a real progression of skill development throughout the year in Keira and the girls truly enjoyed their classes. The “extra” activities, such as the Halloween party and the kids night out events have been great and we particularly appreciate Christie taking the Norwell girls under her wing at the Halloween party. It was an unfamiliar environment and this made all the difference. I wanted to reach out and let you know how happy we are that we found your studio. "My daughter loves the class. She really looks forward to it and I think you are a great instructor." myself and you are a great dance/aerobics instructor. Thanks!" "My daughter loves dance! She thinks you are terrific." "The girls can not get enough of their dance classes. They look forward to them each week and the even practice every night at home." "It's hard getting motivated to work out but once you get to Bridget's Adult Hip Hop class she keep's you going so you forget your even breaking a sweat." "Both Shannon and I have been very happy with her class. She looks forward to Tuesday each week, and is anxious to get to class. She always tells me what she learned or some other new fact that she picked up." Just wanted to send along a HUGE thank you for running such a great dance program and a beautiful recital. The smile on Elle's face and the tears in ALL of our eyes, made the recital day a day we will cherish forever. Ms. Christie who she loves dearly and probably was the catalyst for this class this year. It is truly a testament to her personality and her ablility to work with children of this age, that they all put on such a great performance. We'll be sending her a personal thank you card in the mail (to your address), but wanted to let you know how great we think she is! Elle was so extremely happy and pleased with her performance and said she loves being on stage! We cannot wait for the program to begin again in the fall!